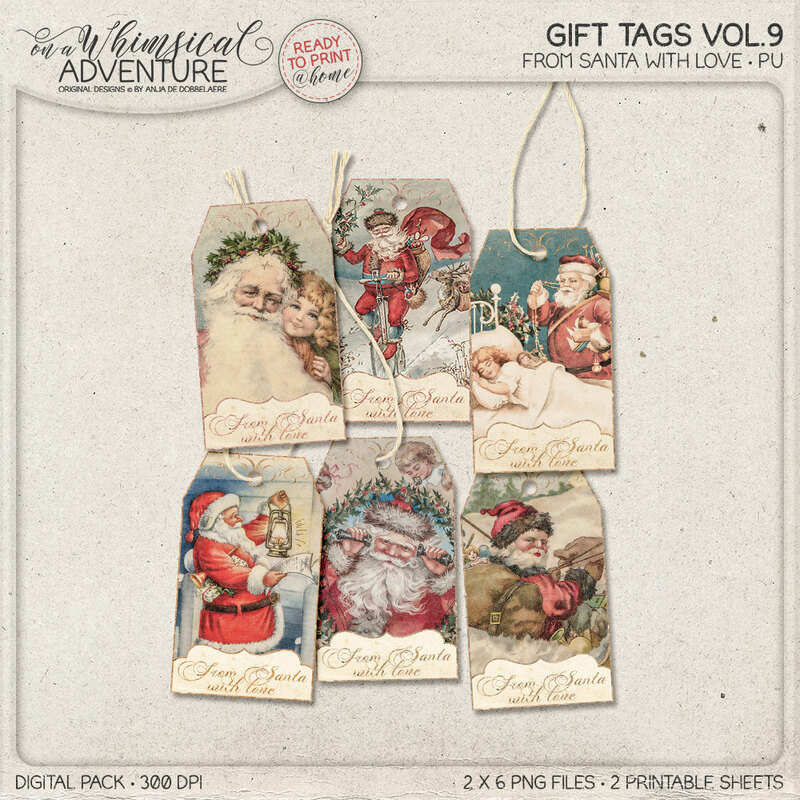 This pack contains 6 nostalgic Christmas gift tags with vintage Santa images and just a little bit of glitter (strokes, ornamental edging and text) for a luxurious feel. 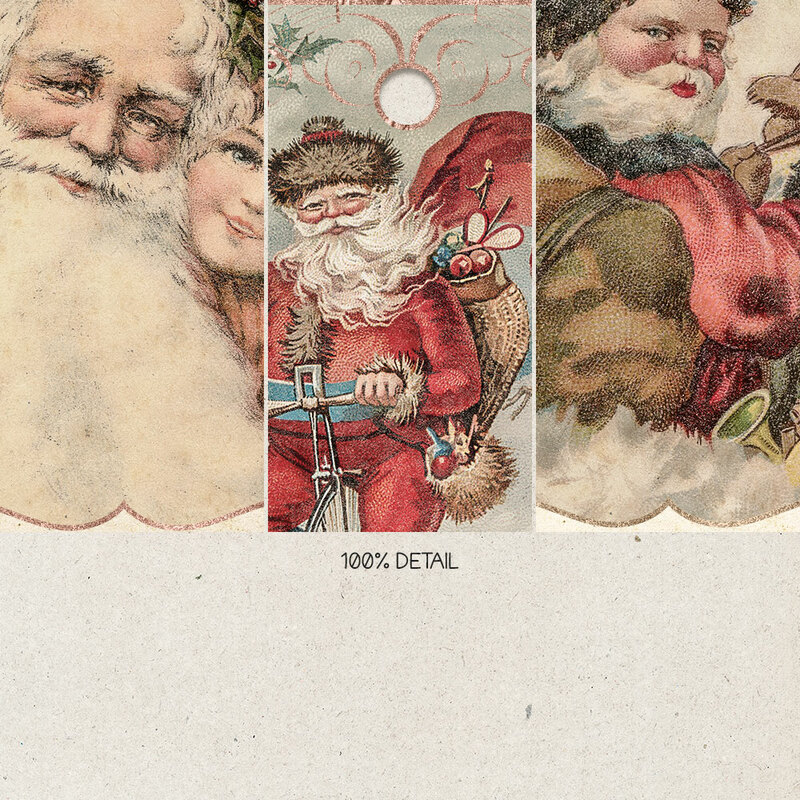 At the bottom of the tags is a space where is written 'From Santa with love', and I've provided an alternative version with a blank space to allow you to write a personal message. 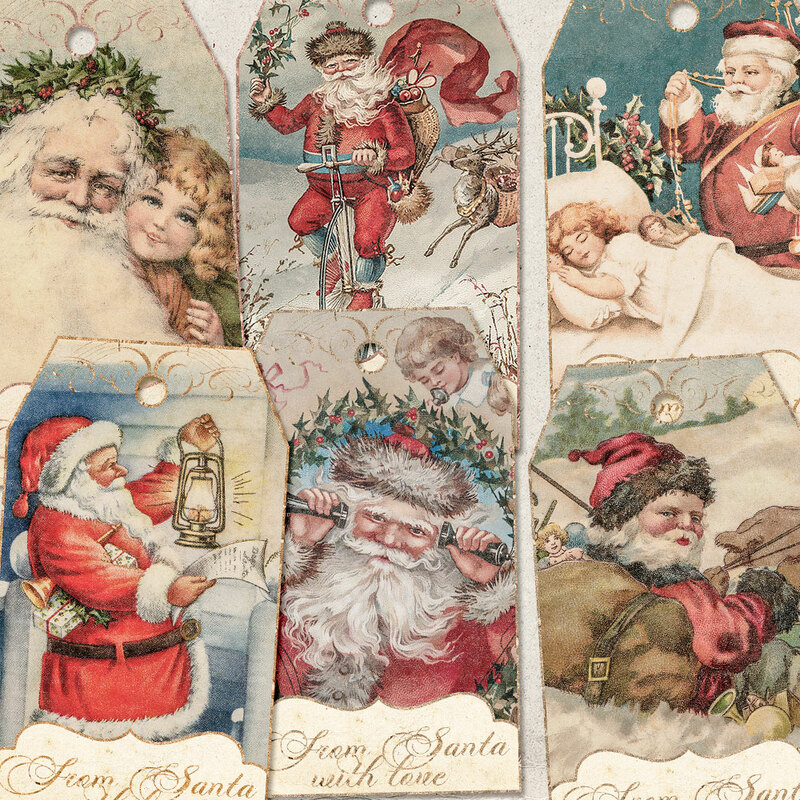 These tags will look great on your Christmas presents, in your junk journals, scrapbooking or any other papercraft project you can imagine. 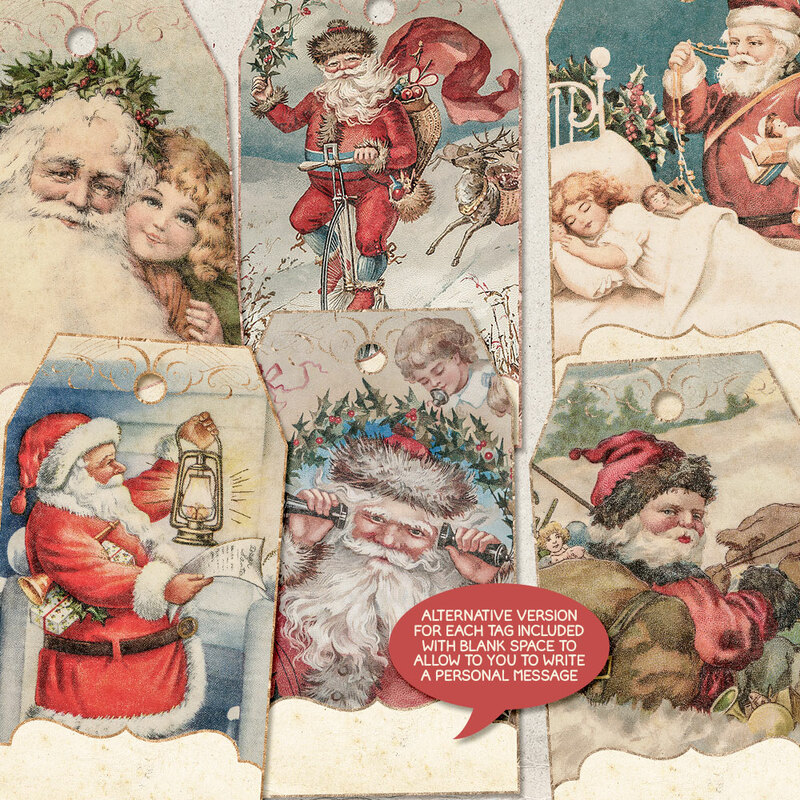 Each tag measures 2,61 x 4 in (6,63 x 10,16 cm). 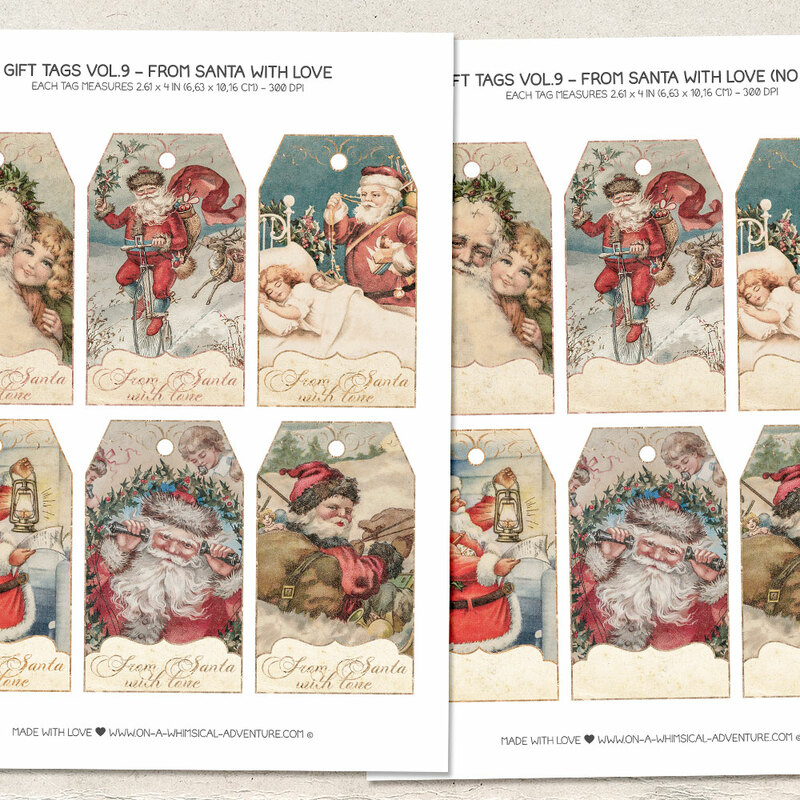 2 x 6 PNG files and 2 printable 8.5 x 11 in sheets in JPG and PDF. All files are 300 DPI. Drop shadows in the preview are for display purposes only. My designs are for personal use, unless otherwise specified. Drop shadows in the preview are for display purposes only.